Microsoft is currently trying to fight one of the biggest frauds in the recent days by means of lawsuits. What lead to this legal battle? There are people who have received calls from people claiming to be with Microsoft and informing that their computer has got affected by the virus. They claim to fix the issue after the payment of a fee. 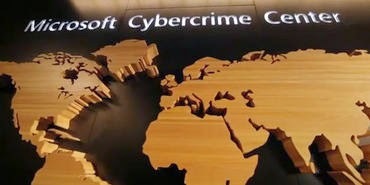 On 18th Dec, a civil lawsuit was filed by Microsoft's Digital Crimes unit in the Central District of California. This lawsuit was filed against the company called as the Omnitech Support and other firms, citing the reason as "unfair and misleading business practices and trademark encroachment. According to the blog pertaining to this lawsuit, Microsoft has charged Omnitech Support, a division of Customer Focus Services for misusing the Microsoft name, service and the trademark, with the ultimate aim of defrauding the customers out of their money and other personal information. They pretended that the customer’s PC was affected by a virus. Most of the computer related scams follow a similar pattern wherein it starts with a phone call from someone pretending to be working with Microsoft or claiming to be the partner’s of Microsoft. They will give you some technical details about how they identified the virus on your computer. They will them convince the customer to install the remote control software on the PC and then take full control over the computer of the customers. They will use a scareware to show that there is a virus affecting your system and they can have it fixed after paying a certain amount of fee. If the customer agrees, they can now get additional details about the customer apart from the access to the customer’s credit card. According to the information on the Microsoft Blog, the scammer have been able to create security issues as they have installed malicious software, which includes password grabbers to get all the financial and personal details of the customer. Microsoft with the help of investigators has been able to back up their lawsuit by contacting the defendants’ names in the lawsuit. Each investigator contacted the defendant with a computer having no virus or malicious software but were convinced by the latter that there is a virus and need to pay a large sum of fee for them get that removed and get the corrupted windows work again. Many of the customers had contacted Microsoft stating that computer is not in good shape post the repair. According to Microsoft, around $1.5 billion each year is lost by customers due to these kinds of frauds.